Student teams will compete for an awesome prize. Get excited ... and get started now! 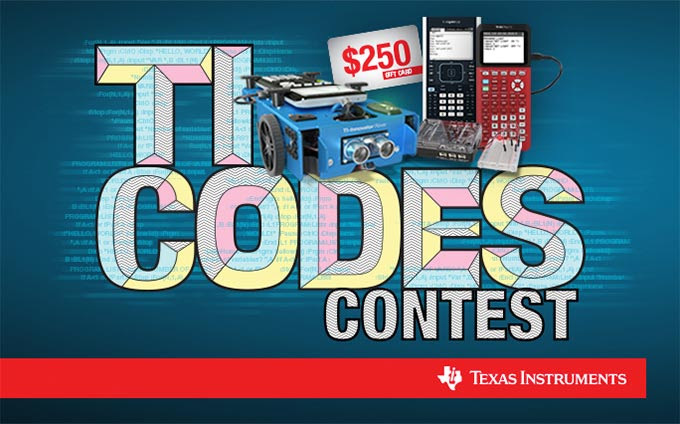 Now open for entries, this fun new competition challenges teams of students to explore STEM problem solving, design and coding. All teams who enter their idea in the first round are eligible for a random-drawing prize package. 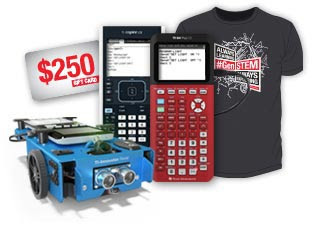 And the ultimate grand prize winning team – determined by a public vote – will receive a set of TI's innovative STEM technology for each team member, and a $250 gift card for their adult sponsor. Get your team together now. Teams must include two to five students, aged 13–19, and one adult sponsor.